Over the last few years over 285 project sites have been established working on protecting native bushland, trialling innovative land management practices, targeting feral animals and weeds and improving nutrient use effeciency in cropping. You will soon start to see these signs popping up all over the Wheatbelt. 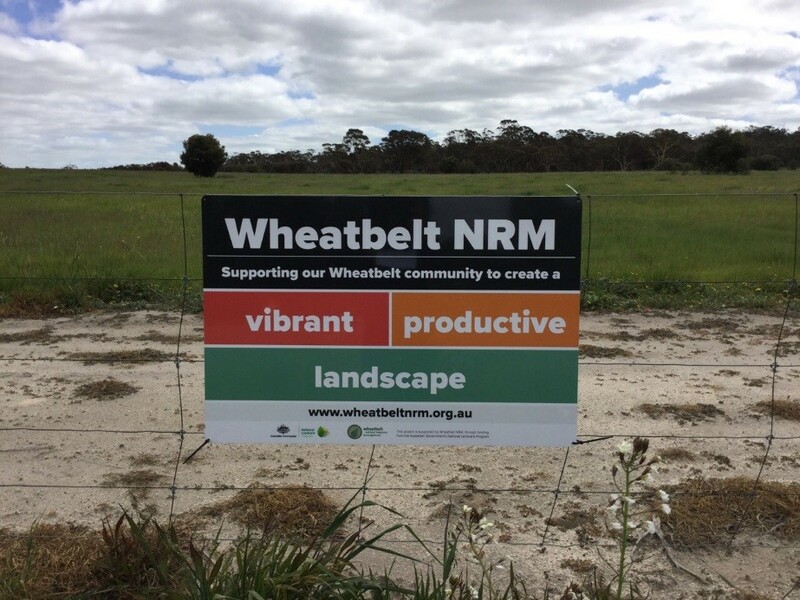 They aim to promote the extent of Wheatbelt NRM’s work with our community partners. There may not be an obvious project site where you see the sign but you can be sure that there is action happening which will lead to a productive and environmentally sustainable Wheatbelt. Our aim is to create a legacy of community action so we won’t be satisfied until these signs are a common sight across the Wheatbelt. Project partner signs erected at project sites near Pingelly.